The men were airlifted by the coast guard and brought to hospital. THREE FISHERMEN WERE rescued today after their boat sank. The Lough Swilly RNLI in county Donegal assisted the three fishermen this afternoon after their boat sank off the Inishowen peninsula. The volunteer crew was requested to launch both their inshore and all weather lifeboats at 1.30pm following a report from the Marine Rescue Coordination Centre in Malin Head that a small fishing boat with three people on board had got into difficulty and was taking on water. 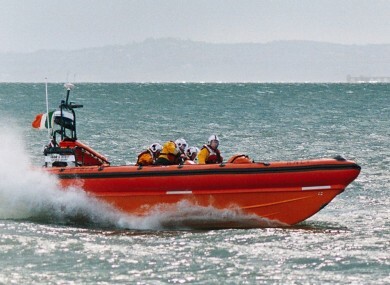 The boat sank off Fanad/Dunaff with the three men ending up in the water, said the RNLI. A local vessel which was in the area at the time rescued the men and transported them to the nearby Leenan Pier. The RNLI lifeboat arrived on scene alongside the vessel and a number of crew members went on board and administered first aid to the three men. The fishermen were then airlifted by the Sligo based Irish Coast Guard helicopter and brought to Letterkenny General Hospital. Email “Three fishermen rescued after boat sinks off Inishowen peninsula ”. Feedback on “Three fishermen rescued after boat sinks off Inishowen peninsula ”.